What is windows server 2012? Windows Server 2012 is the extended version of Windows Server 8 is the most recent version of the operating system from Microsoft regarding server management. But after that Microsoft released the latest version of Windows Server 2016. But initially it was released on August 1, 2012 and it is just a commercial version as of now. Windows Server 2012 has four editions: Foundation, Essentials, Standard and Datacenter. Each edition as its own drawbacks except the Datacenter version, which is the most expensive one. 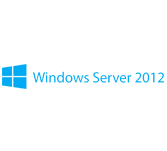 This tutorial explains about the fundamentals of Windows Server 2012. This tutorial has been designed for beginners who want to learn the features of Windows Server 2012. This is useful for the professionals are using this operating system to perform various duties in their respective organizations. The readers should have basic experience of handling a Windows based Servers along with a basic knowledge of how to install and use an operating system.